Hello again, and welcome to our ongoing series of articles discussing how guitar pickups work and how you can build your own. In the last article we discussed how the magnets and coil work, and how they work together to create the sound that you hear. This time around, we are going to look at the tools, pickup parts, and other things that you will need to build your project from scratch. You will need surprisingly few tools to build your pickups, and what you do need will not be very expensive or they will last for several pickups. What you need, exactly, depends on whether you will purchase the individual parts that create the bobbin as a kit, or if you intend to build them yourself. The first item that you will need is called a Digital Voltmeter, also known as a a Multimeter. This device can be purchased (usually for less than $15) at any hardware store. Harbor Freight often offers a deal on these devices if you sign up for their newsletter and they have several models in stock. A voltmeter is a very important testing device that you will need for many more reasons than building guitar pickups. It’s basically a box with two leads (a red and a black) coming out of it, a rotary knob to select what you want to test for, and a digital display. You can use these leads to test AC and DC voltage, DC amps, resistors, diodes, and more. Some can even test capacitors and transistors. This tool will be invaluable for testing your work and diagnosing problems in many situations, but you will not need the most expensive model; the simplest version will do just fine. The soldering Iron is probably the most important tool that you will use in your “guitar garage.” We will need it to build our pickups and for pretty much every repair that we will ever need to do. You’ll need it for fixing jacks, switches, knobs, and cables. You ALWAYS want to use a soldering iron and you NEVER want to use a soldering gun. A soldering gun is the kind with the trigger. These devices use a transformer in their construction and it’s operation can ruin the magnets in your pickups very quickly. The next item that you will need goes hand-in-hand with the soldering iron, and that is the solder that we use to hold the pickup parts together. Solder comes in spools of various sizes and qualities. The best kind to use is a 60/40 rosin core solder. What this means is that the solder is 60% Tin and 40% Lead. The rosin core helps the solder stick to the metals and form a stronger bond. Solder is going through a big modern-day change because the health hazards of lead are pushing for a lead-free content. There are several types of lead-free solder available, and the quality is on the rise, so this might be something that you want to look into, especially if you work in a space with low ventilation, or you do excessive amounts of soldering. Just make sure that the type you get is created to be comparable to a 60/40 solder. As I mentioned earlier, you will need a soldering gun, solder, and a digital multimeter for practically every project that you will ever do with a guitar. Everything from output jacks to foot pedals will require these tools so you will want to have your own set and you will want to take the time to learn how to use them properly. Proper soldering can take some time to master, so you will want to practice and be patient. Besides the tools we have mentioned, you will likely need various screwdrivers (flathead and Phillips head), pliers (to include needle-nose), wire cutters, a set of Allen (hex) wrenches, and so on. If you are going to be designing homemade pickups, using household items, then you might also need a saw, a drill, a file, paints and stains, glues, etc. Some DIY pickup makers have created systems in which they can use their hand-drill to help wind their pickups, and I have also heard of people who use a fishing reel with fantastic results. If you need to create a lot of pickups, or you are looking to start your own business, then one of these devices or ideas might be something that you’ll want to look into. If you are just looking to learn how your guitar pickups are built, and maybe make a few for yourself, and certainly for your first pickup, winding by hand should be fine. The great news is that winding by hand is called “scatter winding” and it is actually something that often leads to a great-sounding pickup that can’t be duplicated on a machine. Hand-wound pickups are hard to find and very expensive. This pretty much covers all of the pickup parts and other things that we will need to get, before we can build our project. Once you have assembled these parts you will have the tools for these, as well as many of the other projects that we cover here at humbuckersoup.com. 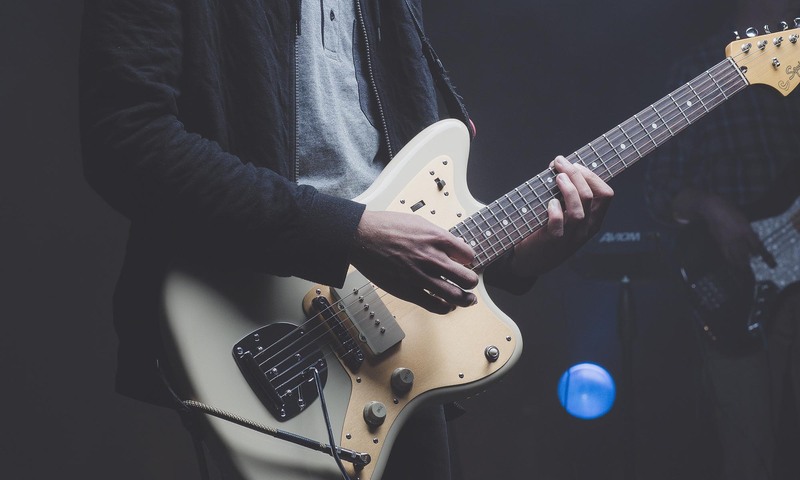 You should also have enough materials to build several pickups, and building these pickups will really help you acquire an understanding of how they work and why they sound different from one another. So, now that we’ve assembled our pickup parts, I’m looking forward to seeing you in our next article, where we will actually start to build our first single-coil pickup. It’s going to sound great!